Two recently discovered fossils have revealed a human of “unknown” origin in China. Xiujie WuThe skulls superimposed on the site where they were found. Human history may have a new wrinkle. In a research paper published this week in Science, paleo-anthropologist Xiu-Jie Wu announced the discovery of two nearly intact skull caps. The skulls date back more than 100,000 years ago, and researchers say they could belong to either a new kind of human or an Asian variant of Neanderthals. The skull caps’ characteristics have led researchers to believe that owners had a mix of modern human and Neanderthal DNA, which may reveal a new thread of human development. The paper concludes by saying that the unknown people possibly came from Neanderthals mixing with other ancient populations over the course of millennia. 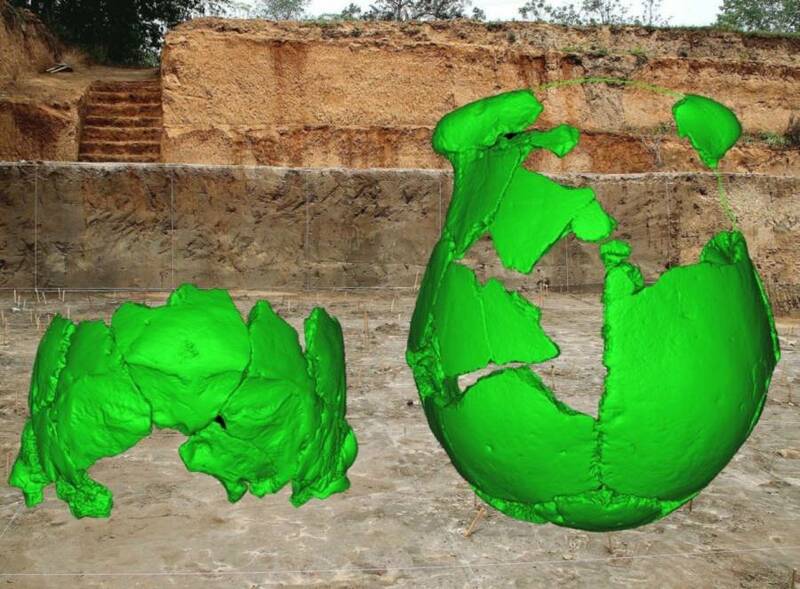 Scientifically called a crania, researchers have given the two skull caps the nickname of Xuchang 1 and 2. Wu and her team found them in Henan, China, in an area that housed a spring during the Pleistocene period. In the area the researchers also found remains of extinct megafauna, the giant ancestors of animals such as cows, deer, rhinos, elk, and horses. The animal bones in the graves of Xuchang 1 and 2, plus the array of quartz-based stone tools, have led the researchers to believe that the unknown humans were successful hunters. Wu’s team did not want to describe Xuchang 1 and 2 as Denisovans, however. The term is a “DNA sequence” and nothing more, anthropologist Erik Trinkaus, a co-author on the new study and the person who popularized the theory that humans and Neanderthals procreated together, told Science News. Next, check out how a supervolcano may have killed off the Neanderthals, before finding out how some pacific islanders have DNA not linked to any known human ancestor.